What a magical book. 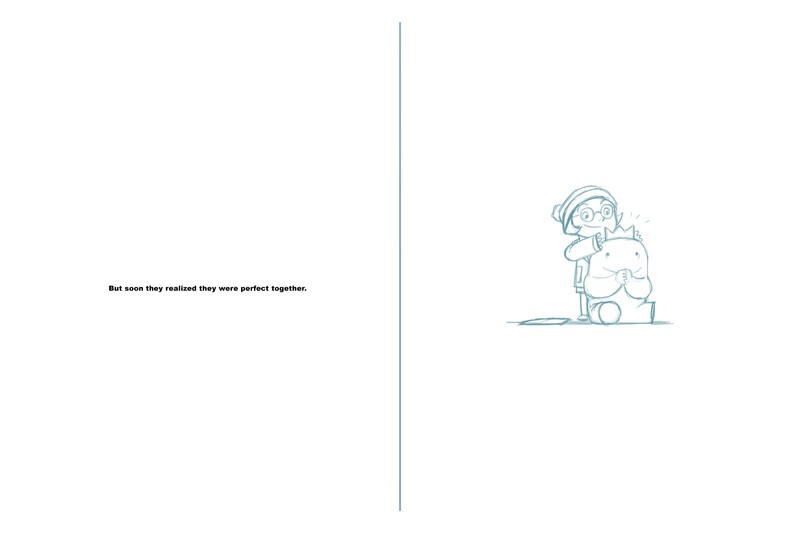 A heartwarming book. 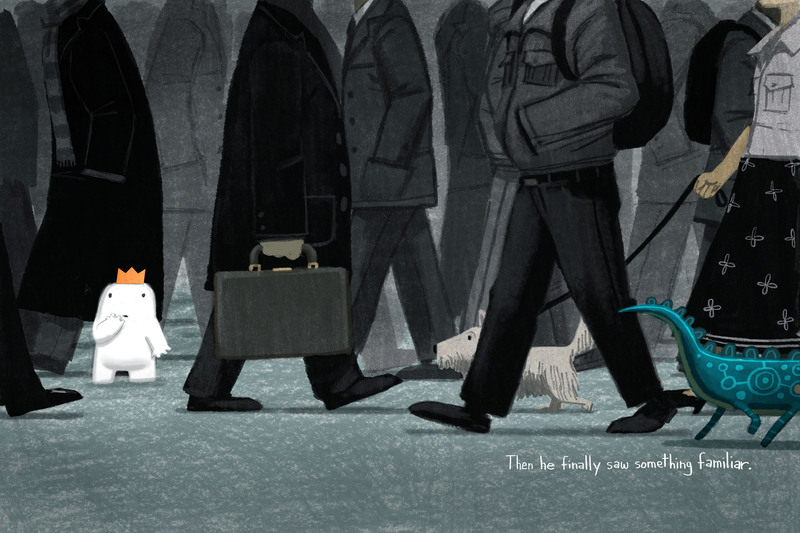 A brave, enduring character, that Beekle. 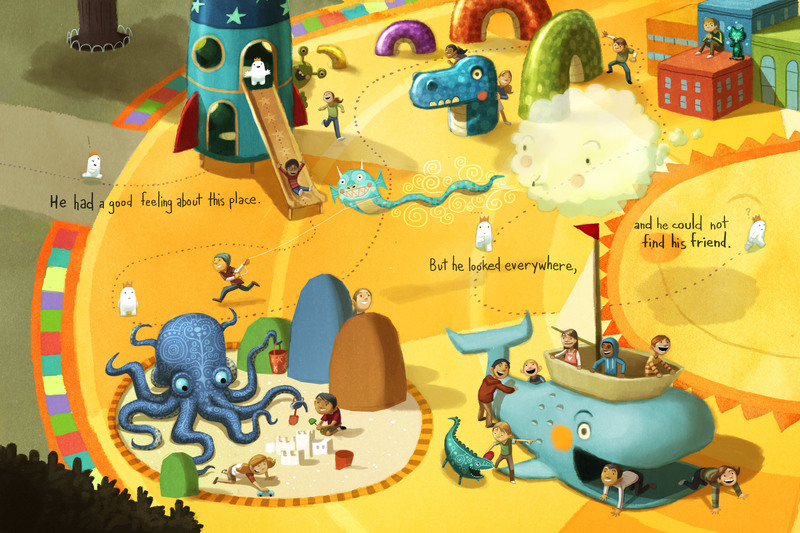 A celebration of imagination and play and the inventiveness of a child’s mind. And a celebration of friendship, even the kind nobody else can see, but is the real deal. I’m confident you’ll see when you read it (or read it again). Yes, you will. 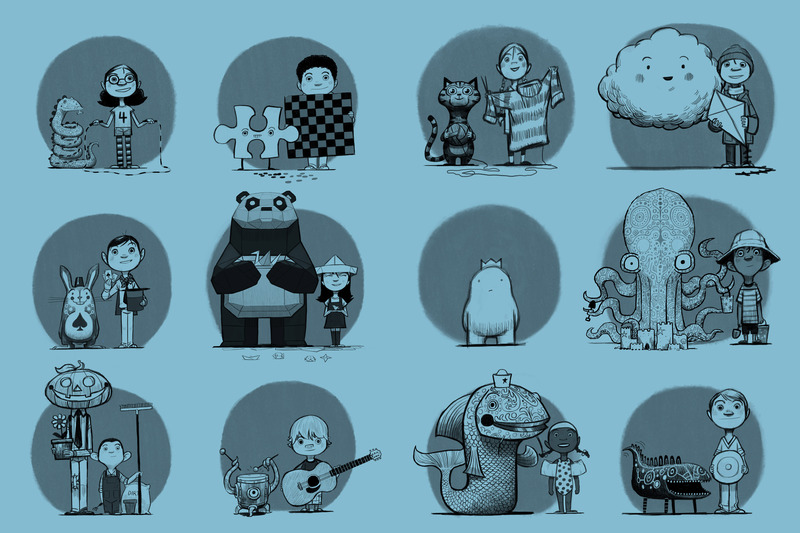 I’m going to go out on a limb here and say Beekle has elements of two of my favorite picture book creators, Shaun Tan and Oliver Jeffers. 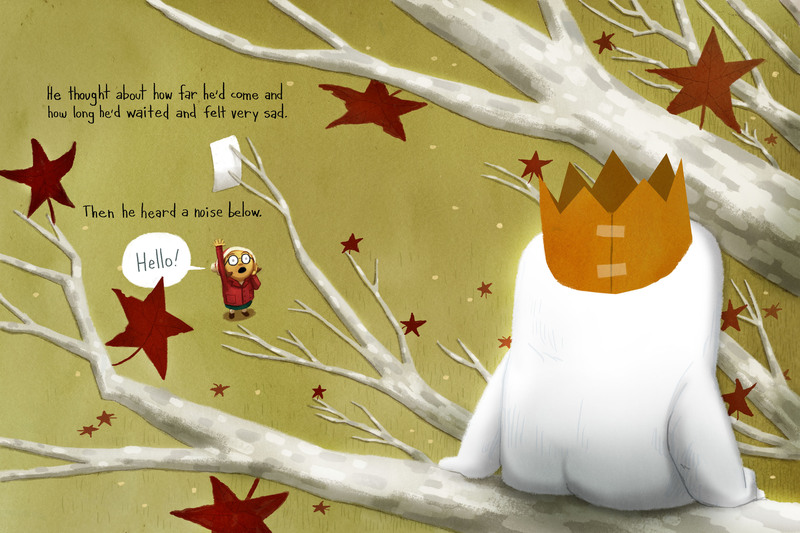 It’s like Lost and Found meets The Red Tree meets Santat’s particular magic. Agree? 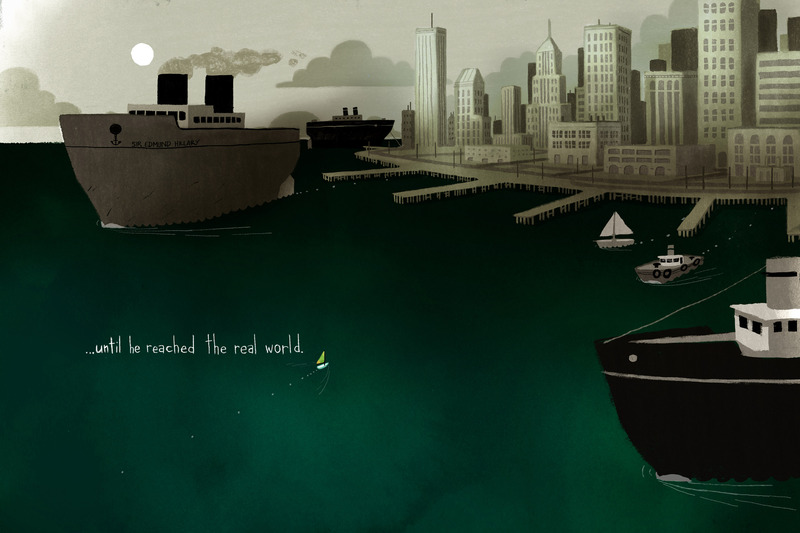 Either way, Beekle is an original and full of almost unimaginable wonder. Thanks to Dan Santat for images! Could this be the easiest craft ever? Okay, maybe not, but it’s pretty simple. 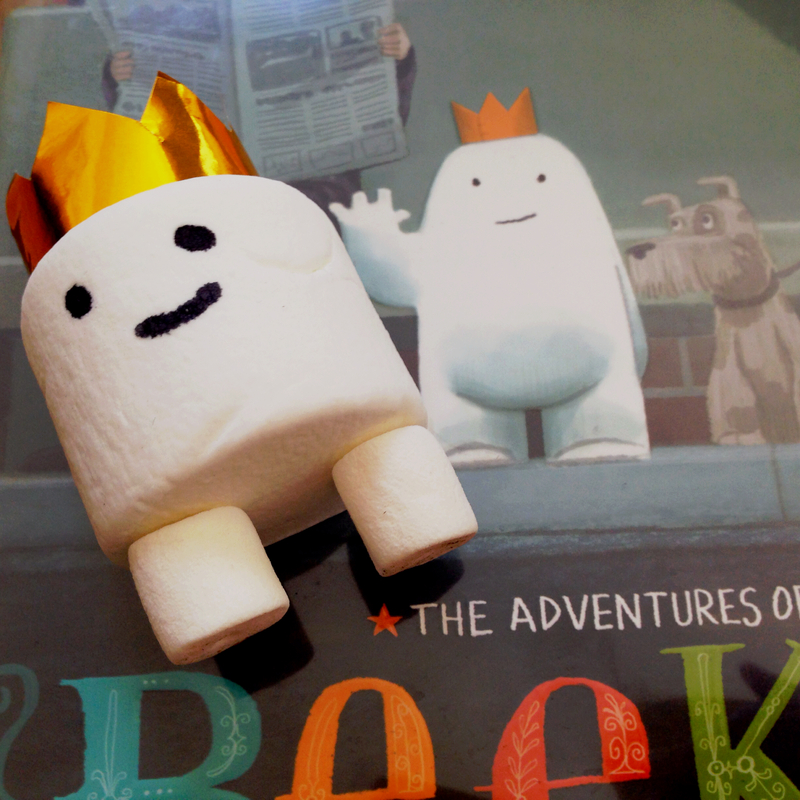 Not only that, but you get to keep an adorable marshmallow Beekle around as an unimaginary friend. For real. 1. Cut two toothpicks in half (remove and discard the sharp side so no one gets poked). 2. Slide a flat side of toothpick into small marshmallow; do it again with the other one. 3. Insert toothpick/feet into jumbo marshmallow. 4. Draw Beekle’s face with a Sharpie. 5. 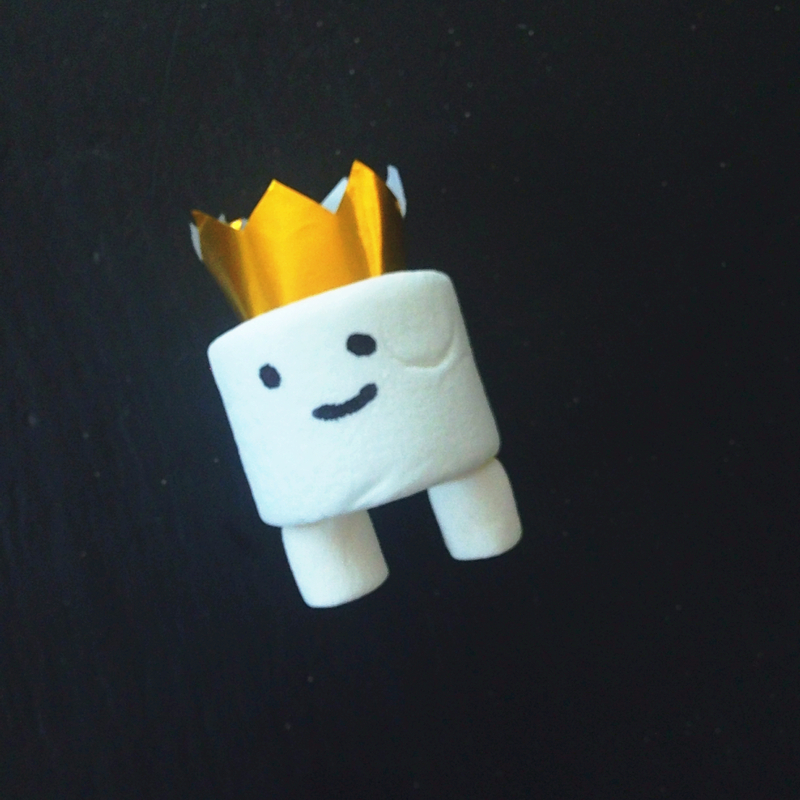 Fold/cut gold paper into a crown by cutting it into a strip and cutting out triangle shapes along one edge; then fasten it together with tape. 6. 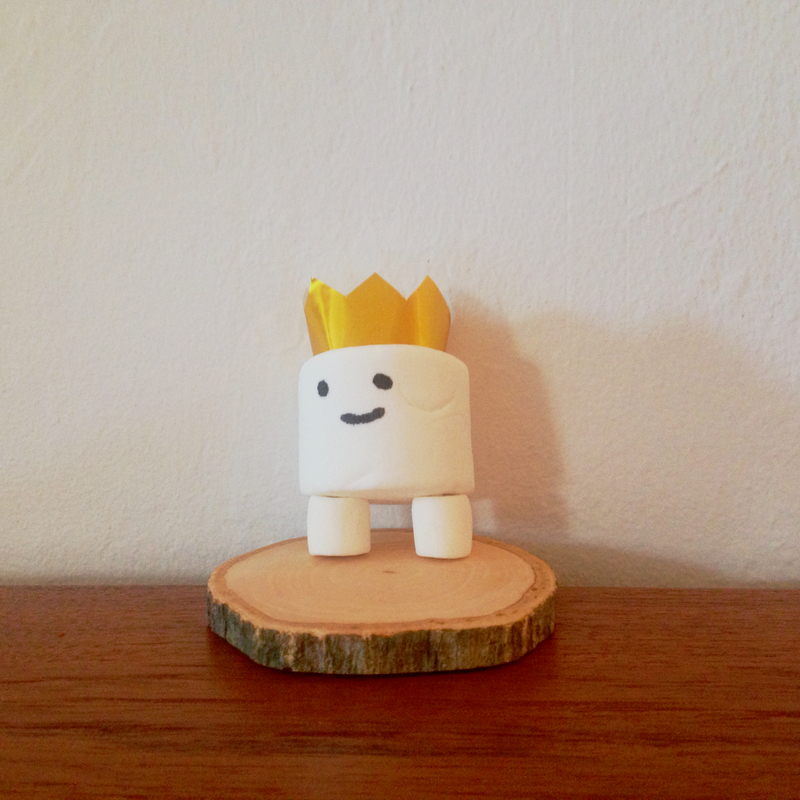 Put the crown on Beekle’s head and tada! The great thing about marshmallows is, well, they’re probably not going to rot! 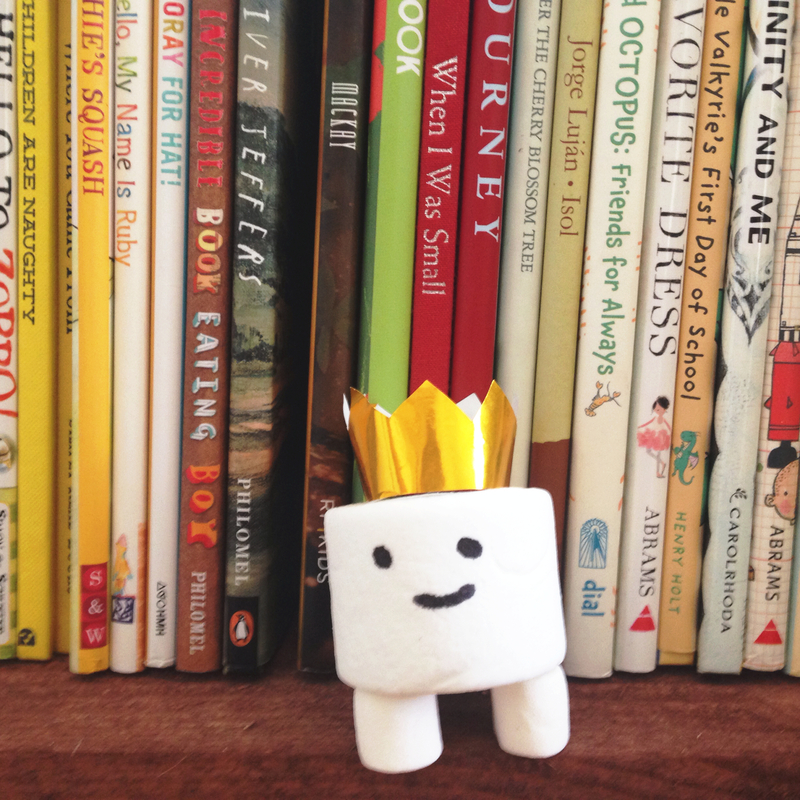 I’ve got my Beekle on a bookcase in my apartment and every so often I just want to give adorable Mr. Puffy a little squeeze! 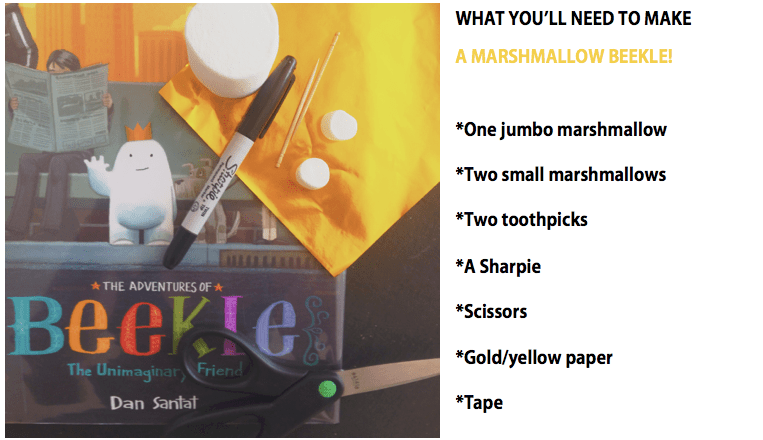 read the book, make a marshmallow friend! This looks like such a wonderfully fun book! Can’t wait to read it! Cute and sweet all around! Omigosh, what a cute idea! Makes me really wish I was still doing storytimes at a bookstore. We loved this book. 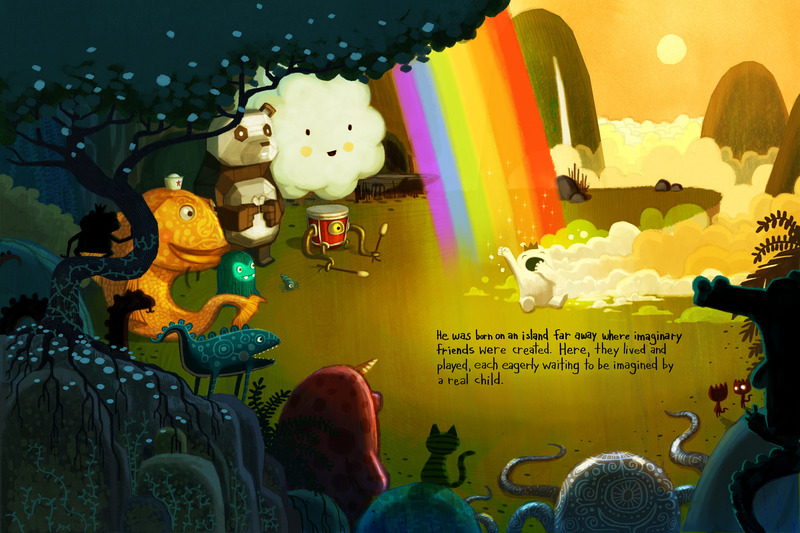 I think BEEKLE is destined to be a modern classic! 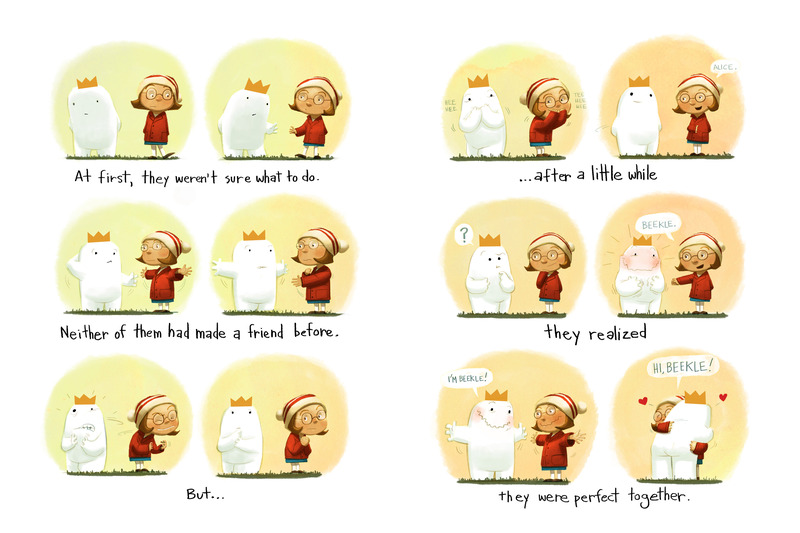 I love Dan Santat’s work, and I love your marshmallow Beekle. Ya Santat is amazing and this story looks awesome! Adorable craft. I didn’t have success using toothpicks, but Elmers glue worked. I read this book to every K-2 class last week. I was amazed at how many students said they have imaginary friends! Hi Sue! I’m sorry toothpicks didn’t work for you, but happy you found a solution that did. 🙂 So fun to hear that you read this book and made this craft with kids. I love that! 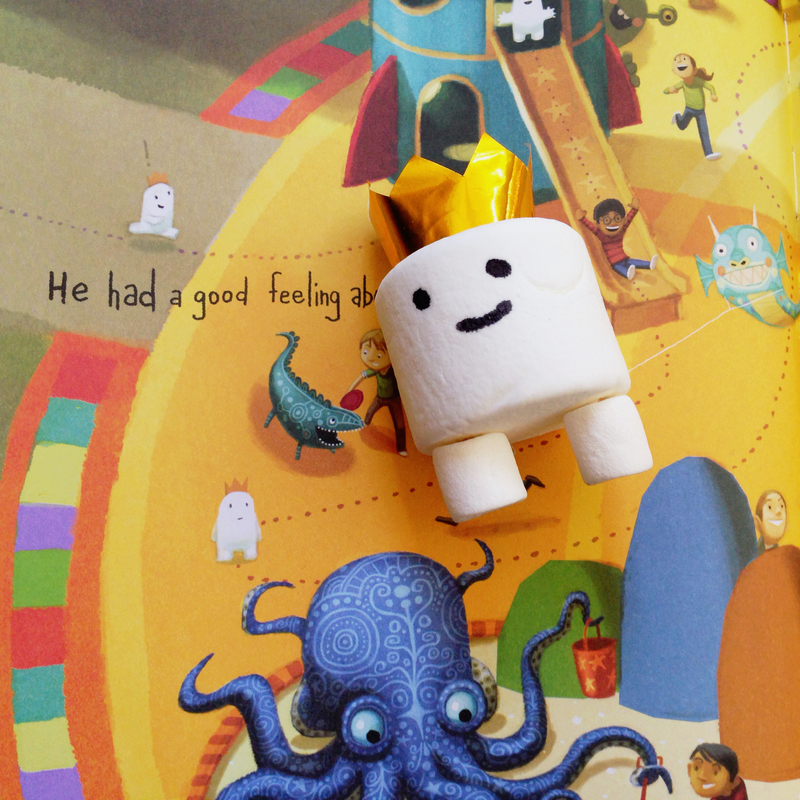 Pingback: The Adventures of Beekle: The Unimaginary Friend | WePAC's Favorite Books!